The volunteers at Margaret’s Hope Chest are dedicated to helping others in need in the Grand Rapids, MI area through stitching lovingly handmade quilts. 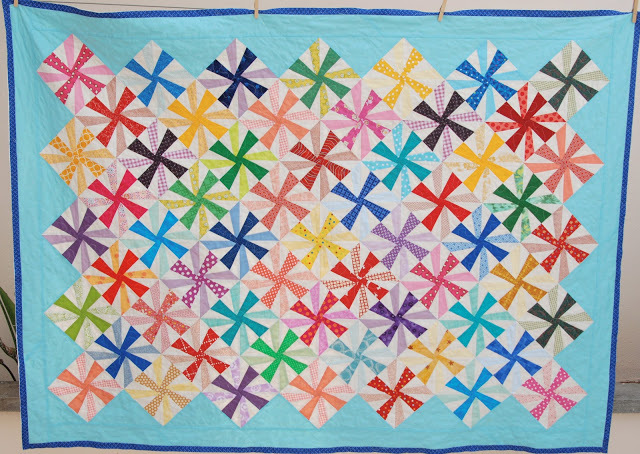 Quilts that are donated to or made by Margaret’s Hope Chest are distributed to those in need in many ways; through third party organizations like the American Red Cross or Salvation Army, and through individuals contacting the organization directly. There are many ways you can help Margaret’s Hope Chest to serve others, such as creating and donating quilts, donating fabrics and materials to make quilts, and helping to sort, cut and kit materials for individuals to create quilts. Check at the Margaret’s Hope Chest website for more information and to contact the organization to help. Can you tell me the block pattern names for the 2 quilts pictured? They are lovely. thanks for the work you are doing for those in need.